Violinist Yeeun Cho was born and raised in South Korea. She won second prize in South Korea's Young Artist Competition when she was 14. Yeeun was also awarded first prize in Korea Arts & Culture International Exchange Association Music. She studied at the IMI International Music School where she served as a concertmaster in the IMI Orchestra. For her Bachelorâ€™s studies, she studied with Young Jae Lew at the Hansei University in South Korea with a full scholarship. Also, She was a concertmaster at the Hansei University Orchestra and received the Promising Young Artist Concert Invitation of Youngsan Foundation in 2014 and 2015. 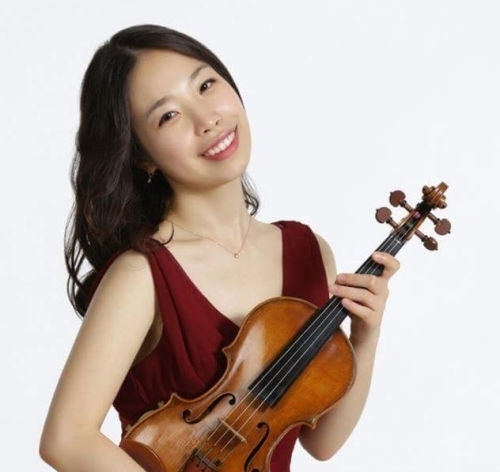 She also studied with Hyeyung Yoon and served as a teaching assistant of UNL Chamber program under the Chiara Quartet at the University of Nebraska-Lincoln for her graduate studies (M.M.). Also, she actively appeared as an orchestra member of the Lincoln Symphony and a concertmaster of the University of Nebraska orchestra. She is currently studying with Anton Miller at the Hartt School of Music (D.M.A.) and serving 20/20 Chamber Honorâ€™s Program.